The exterior styling leverages crisp angles with dynamic flowing lines that originate from the front of the vehicle and span outward toward the rear. The end result is a sleek and aggressive exterior that also allows for a spacious and open interior with excellent balance visibility for driver at the left and right side. Back passengers may also have a good visibility of the front view, at least its doesn’t block by front passenger seat. And the other smart fact about this car is it’s balance in weight from left to right, with the steering is build at the center of the car. The layout of the interior space, with its center driving position flanked by two rear seats, provides generous legroom for all occupants, roughly the equivalent of a mid-sized sedan in a vehicle that has an exterior footprint similar to a micro car. 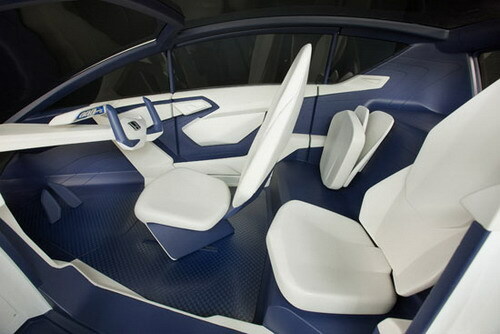 Interior functionality is increased by rear seating areas that fold up and out of the way to increase storage capacity. The windshield serves as a heads-up display for the navigation system and the back-up camera. The exterior styling is intended to capture a future direction for premium sophistication while balancing the need for maximum interior space and an aerodynamic appearance. The interior layout, in conjunction with the rear powertrain design, contributes prominently to the exterior’s overall shape. The modular rear engine bay is design to support major variety of powertrain, its can use Internal-combustion engine, hybrid-electric or battery-electric powertrain. 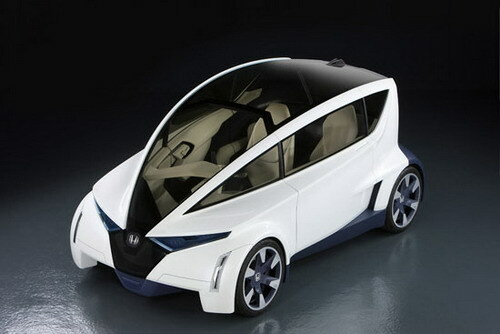 The Advanced Design Studio of Honda R&D Americas, Inc. in Los Angeles developed the P-NUT design study model. Honda R&D Americas began its operations in California in 1975 with local market research activities and has steadily grown its capabilities over the past 33 years to include all aspects of new vehicle research, design and development. Recent Honda-brand efforts include trend-setting products such as the Pilot, Ridgeline, Element, Civic Coupe and Civic Si Coupe. This entry was posted on Monday, December 7th, 2009 at 10:12 pm	and is filed under Interesting Stuff. You can leave a response, or trackback from your own site. 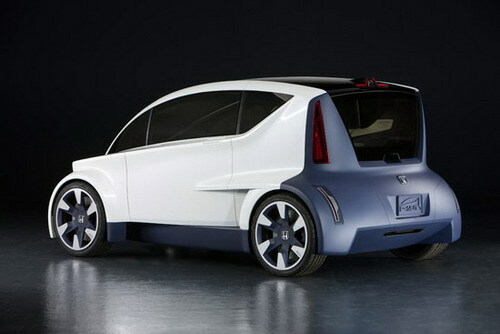 One Response to "Honda Introduced P-NUT Concept Car At The 2009 LA Auto Show"